the charging structure is still under review. We made the point in our original commentary on the proposals before they were put in place last year (see here) that the charges would be particularly difficult for small shows, especially single aircraft shows, for whom the cost represented a 100% increase from £187 to £374. In our Summary of Issues we suggested that there should be a separate charging band for single-aircraft shows. The new charges have been difficult for airshow organisers and airshow fans. There is no empirical evidence yet, but it can be surmised by comparing flying displays schedules, ticket prices and new car parking charges that the number of displays at some shows was lower than would have been the case and that the cost to enjoy some shows is higher. We think the implementation of new safety rules has had an even greater impact on the bigger shows than the new charges. Nevertheless, we remain concerned about the impact of the charges on the future of the smaller, especially single-aircraft, shows. These may be village fêtes, charity shows or private displays, perhaps to celebrate a special occasion. Our original suggestion was that the airshow application charge should be at the 2015-16 level of £174 for all shows with 1-3 flying displays. An alternative suggestion is that the current (2016-17) £374 charge for 1-3 aircraft displays should be replaced with a charge of £124 per aircraft. This alternative suggestion would be cheaper for single aircraft shows. It would be dearer than the originally-suggested £174 for up to 3 aircraft if a show has two or three aircraft. It may, however, be more acceptable to the CAA. Whichever of the suggestions is favoured, we encourage all airshow supporters to impress upon the CAA, as they continue their review of the charging structure, to consider the impact on show goers, pilots and aircraft operators and to adopt a structure that is less threatening to single-aircraft and other small shows. The 'no increase' promise does not apply to the post-event charge, which was always going to be phased-in. The latest consultation, CAP 1477, proposes a 50% increase on 2016/17 charges for 2017/18 (see page 22 of the document).. The CAA have published their response to the 534 comments submitted during the consultation on airshow and air display charges. At the same time they published the new schedule of charges, effective from 1st April 2016. The doubling of airshow application charges and pilot display authority fees remains in place exactly as proposed. The new post-event charge will be phased in. Half the originally proposed amount will be levied in 2016/17. The other half will be introduced in equal instalments over the following 2 years. Small and charitable shows who envisage difficulty have been invited to apply to the CAA for 'assistance'. The government response to the petition. As anticipated, the response is effectively an acknowledgement and a reference to the consultation. The original article on the consultation (beneath this summary) has more detail, but I also offer the following summary and thoughts. The CAA may not have fully appreciated that the announcement of fee increase proposals in February, for implementation on 1st April, did not give show organisers the opportunity to take into account potentially significant cost increases when planning their 2016 shows, ticket prices and other charges. Any fee increases should be deferred until 2017. It is not clear that the CAA took into account the effect of the proposed charges on small, especially single-aircraft, shows and free seaside shows. This is apparent from the repeat of the assertion that shows could reclaim the fees through small increases in ticket prices. A separate, lower, band should be introduced for single-aircraft (usually private or village) shows, at a rate similar to those for 2015/16. If seaside and other free shows have to pay significant additional, unrecoverable, fees, they may have to reduce the number of displays. Operators depend of the income from these displays to fund the maintenance of aircraft. Reduced income would impact detrimentally on people directly and indirectly involved with the vintage aircraft industry as well as the aircraft themselves. The alternative for these shows, and for small shows organised entirely by volunteers to benefit charities, is effectively a charge on the charities that might otherwise benefit. the show is organised by volunteers and the only financial beneficiaries are charities. Any organisation would have contingency funds to cover exceptional circumstances. Extra costs incurred immediately after the Shoreham incident should be met from contingencies. Meeting the historic costs from the contingency fund would reduce the overall amount to be recovered and help to enable the amendments suggested above. The CAA consultation ended on 29th February. See above for a summary of the CAA's response. 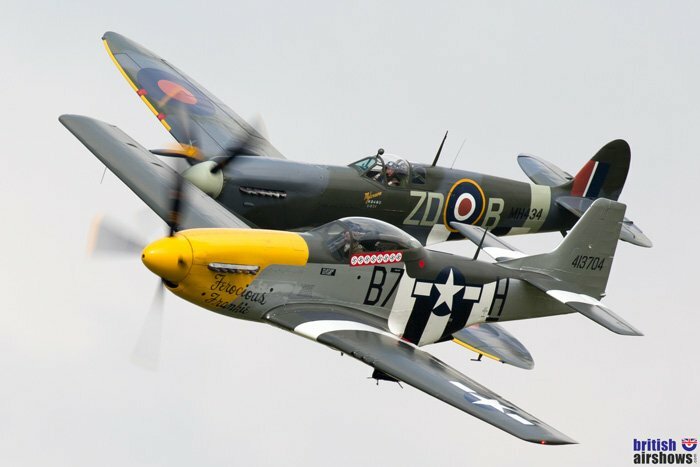 Old Flying Machine Company's Spitfire and Mustang. At the beginning of February the Civil Aviation Authority (CAA) released an important consultation document. It details increases in the charges it intends to impose on the organisations that run airshows and people who fly in them. The CAA has cited two reasons for the charge increases. "partial mitigation of existing under-recovery of costs" – in other words to catch up on some of the money they have spent on work done so far. The Consultation Document is specific, listing the actual charges proposed for shows, in bands according to the number of aircraft due to fly. A new 'post-event' charge is similarly directly linked to the number of aircraft that actually flew. The charges are significant for smaller shows and on a scale that increases dramatically as the show size increases. The full list is at Appendix A of the consultation document, so will not be repeated here, but a few examples will illustrate the impact. Even the smallest show, with up to 3 display items, will see an increase from £187 to £374 [total corrected - thanks to Ian Gallacher] in the fee to make an application to the CAA for permission to organise a display. This represents an increase in total fees of 100%. At the other end of the scale, the largest shows with 31 or more displays face a 657% increase from £2695 to £20,390, including the post-event charge. The CAA says that this scale of charges is for the coming season only and will be reviewed again for the 2017/18 season. There is also a proposal to double the fees charged to civilian pilots to apply for, or to amend, their display authorisation. The work by the Air Accident Investigation Board (AAIB) and the CAA to investigate the tragedy at Shoreham is necessarily painstaking. Most people involved with airshows consider the actions taken by the CAA in the wake of that incident to be tough but understandable. It is accepted that this work has cost money and inevitable that the CAA's costs following the introduction of any additional measures will increase further. Those increased costs have to be met. The CAA is not funded by the tax payer. It is self-funding. If it doesn't meet its airshow costs from airshows it has to recover the shortfall from its other activities. It has to increase airshow costs at some stage if the airshow element is to be self-funding. Some increase in the amounts recovered would, perhaps, have been accepted. However, it is not essential within their operating rules for the airshow element to be totally self-funding straight away. It is possible for the CAA to fund the shortfall from another of its activities, at least for the time being. A few shows have responded by explaining how difficult it would be to meet the proposed new level of charges. Most have yet to publish their reaction to the proposals. We expect that those who will suffer most are the very small shows with relatively low attendance, and consequently limited scope for increased charges, and those who have no income from ticket sales at all; in particular the free seaside shows. Whereas the larger shows might be able to recover extra costs through ticket pricing (but not this year because it is too late) the smaller shows, in terms of crowd capacity rather than numbers of displays, would be affected disproportionately. Their fees will be raised considerably if they have busy flying programmes but there are fewer ticket-buyers to share the burden of the increases. These lower-capacity shows in particular need either lower fees or at least a more gentle phasing of the fee increases. This increase would make the private shows, often aerobatics performed by single light aircraft, very much more expensive. The fees are not refunded by the CAA if there is no display for weather or other reasons. It depends on the wording of the contract between the operator and the event organiser, but my understanding is that the fee would also not normally be recoverable from the customer. This results in a significant loss for the operator, usually an individual or one-person company. These issues would impact on the viability of these small shows and on the ability of the pilots to continue this kind of display. There should be a separate band for single-aircraft events, with fee increases limited to inflation. attract huge crowds. Airshow attendance is said to attract 6 million spectators annually, making them the UK's 2nd biggest spectator activity after football. The really big crowds are at seaside shows, often hundreds of thousands of people. generate essential income for a massive range of local businesses. Try to get a hotel in Bournemouth over the Air Festival, even this early in the year, to see how popular it is. promote the armed forces. How many times have you heard in commentary an RAF pilot say they they were first introduced to the idea of flying when they attended an airshow? usually benefit local, national and service charities. If airshows fail altogether, or attract fewer people, those benefits to the local economy, the charities and forces recruitment would be lost. There is an irony that one part of government (of any colour- we are not being partisan here) makes grants to authorities to help with regeneration schemes to aid struggling local economies, whilst another authority (the CAA is a self-funding public corporation supporting the Department for Transport) could damage the valiant work the authorities themselves already do to generate local interest and income. It is too late. If confirmed, the increased charges are due to be effective from 1st April. That is only two months after the publication of the consultation paper and far too late for any consequent changes, including ticketing, to be implemented for the 2016/17 season. Most airshow organisers will already have set their ticket prices by then, many will have publicised those prices and indeed some shows had sold tickets before there was any hint of increased fees. Many shows, and especially most of the massively popular seaside shows, do not charge for entry. There are no tickets and therefore increasing ticket prices is not an option. 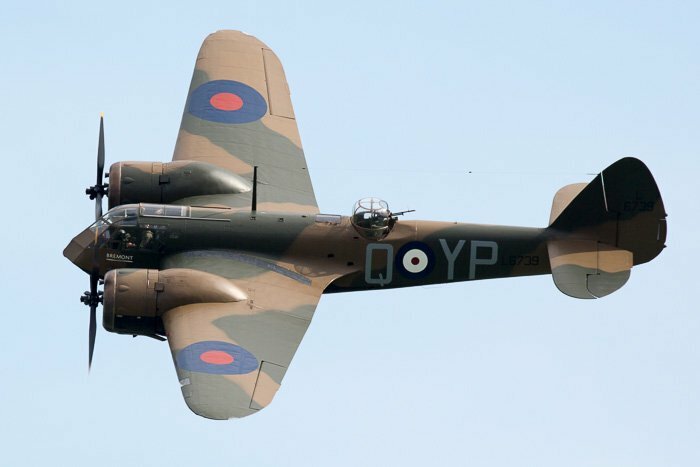 If these shows have to pay additional fees their only options are additional subsidies through local taxes; attempt to raise more through voluntary contributions; seek more sponsorship, or reduce their costs, perhaps by reducing the number of flying displays. Local tax incomes are already under pressure. Increasing subsidies through local taxes may be supported by airshow fans but not all local people are supporters. Taxpayers may also point out that the financial benefits are enjoyed by a wider community than just the local tax-paying population. Raising Subsidies and voluntary contributions are already pursued to the full. Reducing displays would not only devalue the show, but would impact on the pilots, aircraft owners and teams, who need maximum exposure, and maximum income, to be able to maintain their aircraft and their displays. The charges relate to the number of aircraft flying, not to the number of people buying a ticket and therefore sharing the cost. 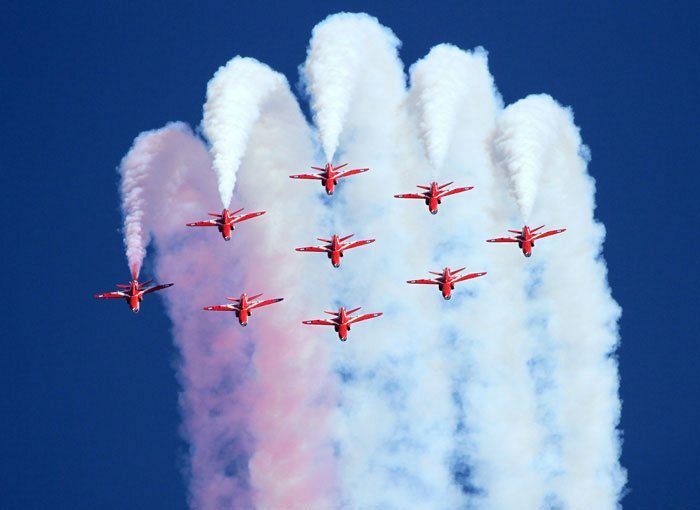 Some major airshows, such as Farnborough, attract massive international crowds and turn over billions of pounds in commercial activities. It is not for us to speculate on the impact of the charges on such shows: the organisers will do that for themselves, but we can speculate that the very biggest would not fail as a result of the proposed increases. However others, that have an excellent display line-up but limited crowd capacity, will be affected disproportionately. I have referred here only to a few of the major discussion points. I do not propose to rehearse in detail the discussion on the new charges. These have already been well publicised from professional and personal viewpoints. There are links at the foot of this page to some of the articles that have been written about the consultation, where you will find a lot more background that does not need repetition here. My purpose is to look instead at some of the options open to those who believe that the proposed scale of charges, or the way it is to be implemented, may be damaging to the airshow industry, hobby or community. The British Air Display Association (BADA) recently held a symposium at which the consultation was debated and are discussing the proposals with the CAA. BADA represents people directly involved in airshows: organisers, promoters and pilots amongst others, so their discussions should carry most weight. But it is also important for the show-attending public to make their views known. There are several ways this can be done. The option that has received most publicity is to sign a Petition. The petition has already had a significant and positive impact in raising awareness of the issue, not only amongst airshow participants and enthusiasts but also amongst the general public. This has been heightened through celebrity endorsement. A higher profile improves the chances that opposition to the proposed increases will be considered carefully. Petitions operate under specific rules. Any petition runs for 6 months. This one started in February, so the 6 months is not up until August. However, the government's duty to respond to the petition does not apply at the end of the 6 months, but once the 10,000 signature threshold has been reached. The response can, therefore, be at any time. However, at this stage the government is bound only to respond. The response will be to the petition itself and so the content of the petition is important. This petition is rather brief. There is no reasoning in the petition itself, so there are no detailed points for the response to address. The petition says, in effect, that the charge increases are 'inexplicable' and implies that they are not connected to safety issues. Without any reasoning or detail to answer, the government's response could be little more than an acknowledgement or palliative. The government has a Petitions Committee, made up of 11 cross-party backbench MPs. The Petitions Committee meets weekly when the House of Commons is in session. At its meetings, the Petitions Committee receives a copy of the response the government has made to petitions that have reached 10,000 signatures but usually just 'note' it. It also considers petitions which have reached 100,000 signatures. The Members of Petitions Committee are therefore influential in taking the petition forward. If any happen to be your MP, it would be especially worth contacting them. At 100,000 signatures the petition will be considered for a debate in Parliament. The government has no duty to debate, simply to consider the subject for debate. In practice, and although there is no duty, there would normally be a debate where a petition achieves the required support. The debate is based on the content of the petition but the Petitions Committee can ask for more information. It will need that supplementary information and preferably MP support to expand the debate beyond the rather thin wording within the petition itself. The main problem with the petition is that it runs for 6 months and although the response can be at any time after 10,000 people have signed, any debate will not be held until the six months have passed. By that time the airshow season will be well advanced, possibly over, and certainly all decisions about holding or cancelling shows, ticket prices etc will have been made long, long before. I am especially concerned that supporters will sign the petition and think 'job done'. Of course, that is not so. It is far more important to respond to the consultation and to do so, with reasons for opposition, before the response deadline, 29th February. 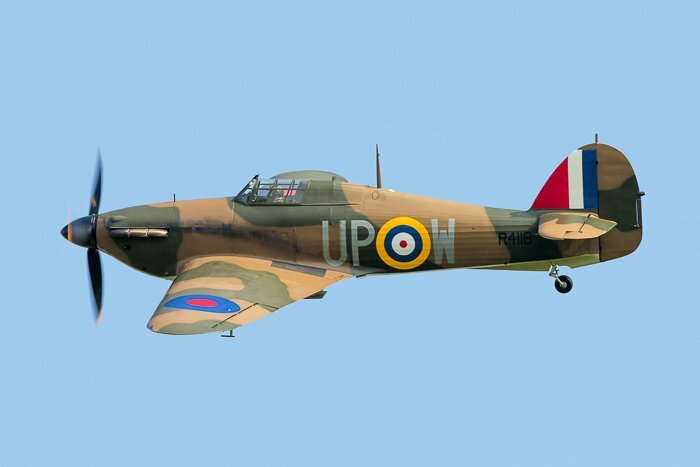 Genuine Battle of Britain survivor Hurricane R4118. Let it be seen. The decision-makers will be influenced by reasoning, not by 'rallying calls'. They will also know whether any 'rallying' statements are accurate. I have seen comments implying that five or more shows have already been cancelled because of the proposed increases in charges. The list included Manchester - which decided to cancel many weeks before the charge proposals were announced and has itself stated that the charges were not a factor in the decision - and a show that has not cancelled at all. When the responses to the consultation are considered, any incorrect or exaggerated claims will not be helpful. They will be identified as irrelevant and are more likely to devalue the case against the proposals than to strengthen it. That the CAA should work towards the recovery of future costs, but not historic costs. There should be contingency funds to deal with the exceptional circumstances that arose in August 2015. Restricting the increase to contemporary and future costs would reduce the size of the fee increase. That the implementation of any increases should be deferred to a future season, so that airshow organisers have the opportunity to adjust their programmes, ticket prices and show management to take into account the new fee structure. That the new fee structure (as may be reduced by  and delayed by ) should be phased in. That the impact is disproportionate for shows with lower crowd capacity but busy flying programmes. That there is a particular risk to single-display shows such as the private celebrations and the operators of aircraft that fly in them. There should be a separate, lower, fee band for airshows comprising a single light aircraft. If there is a debate in Parliament make sure your local MP knows about the impact it could have in their constituency, especially if it is an area where there is an airshow, or in a neighbouring area where many businesses, especially hotels, other services and retailers benefit from increased numbers of visitors. Airshows provide an inspiration to young people, many of whom are moved to join the RAF or to enquire about enlistment in the other services that are frequently represented at shows. The armed forces spend a large amount of money on recruitment. As airshows are known to be an effective recruitment tool, there may be scope for a contribution from the MOD recruitment budget, in addition to the costs they already incur supporting shows. There is no time. Ticket prices have already been set. Tickets have already been sold. Some shows do not have tickets. Their Factsheet does not address the financial problems that will be experienced by seaside and other free shows. The extra cost for single-aircraft private shows will be far more than the 'few pence' they suggest. It will be £187 per small group. By all means sign the petition, but don't expect it to be successful on its own and don't leave it at that. Do respond to the CAA Consultation before 29th February. Make sure any comments in the response are accurate and reasoned. The postal address if you cannot, or do not wish to, respond online is CAA House, 45-59 Kingsway, London, WC2B 6TE. Some things you might say are suggested in the section 'Response to CAA' above. Contact your MPs to make sure they are familiar with the issue and the implications for the local economy, especially if you are in an airshow area or your MP is on the Petitions Committee. The CAA is the responsibility of the Department for Transport. The Secretary of State for Transport is The RT Hon. Patrick McLoughlin MP. You can contact the Department for Transport using this form. 'Don't let the curtain go down ..', Nigel Lamb. The thoughts in this article are the personal reflections of David Titherly. The comments are based on the way I see the situation and I offer them to contribute to the debate. They are not authoritative statements and may be incorrect in fact or in law. If you know that any of the comments are factually incorrect, please let me know and I will correct the mistake.